Is How to Increase Breast Milk Your Issue? How to Increase Breast Milk EASY! How to increase breast milk by eating chocolate chip cookies sound like a better question to me! And it is very possible! •Take More Milk Plus Vegetarian Capsules. 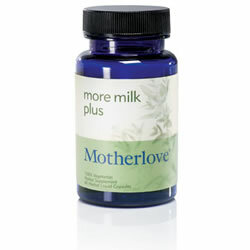 A combination of Fenugreek, Blessed Thistle, and Fennel, that will have you producing more milk in 2-3 days or less! • Eat lactation cookies! Yes. There is a such thing as milk producing cookies. These yummy cookies will get your milk flowing after you eat about 5 to 6 cookies. That's not too hard, now is it? 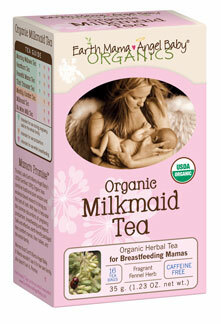 •Drink Sacred Tea for Nursing Mothers. This tea was actually voted the #1 selling product! But let me ask you a question first. Why do you want to increase your breast milk? • My baby seems hungry all the time. That's okay. Your body produces breast milk based on the law of supply and demand. Let me say that again, because this one thing is extremely important to remember. Especially if you have never breastfed or been around other women who have. Your body produces breast milk based on the law of supply and demand. That means that if your baby isn't demanding a lot of milk, your body won't supply or make a lot of milk. So nurse alot! Breastmilk digests quickly, so feed your baby when they want to nurse. • My breasts don't feel full like they used to. That's okay. Your body has adjusted to your baby's eating habits. Remember....supply and demand. • When I pump it doesn't seem like alot of milk comes out into the bottles. That's okay. If you pumped as many times as your baby nurse throughout the day, your pumped milk would add up very quickly. • I'm not going to be with my baby all the time because of work, going out, or whatever and I want to store alot of milk for back up. • I want to increase my breast milk supply in order to help a friend who needs milk for her baby, donate my milk or sell it. • I just want to know how to increase breast milk. Any one of these solutions will help you increase your breast milk quick!